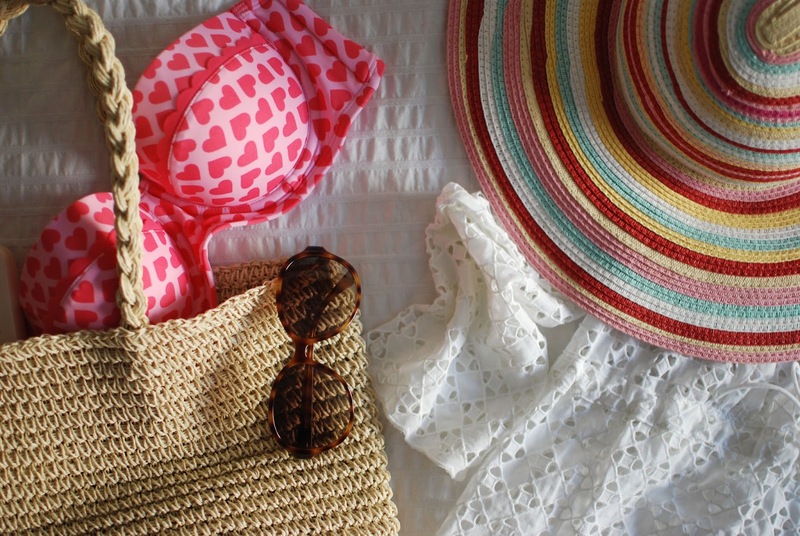 We're getting ready to head south on the weekend for a vacation, so I'm pulling out all of my favourite summer pieces to help ditch the winter blues. I've made a list of my ten essentials for this trip. 1. A good book. This is key for me on a vacation where there will be a lot of relaxing, lounging, and reading. This vacation will have me reading IT by Alexa Chung and Gone Girl by Gillian Flynn. 2. Sunglasses! Who wants to sit on a beach and squint the entire time? I picked up my Michael Kors sunnies on my last vacation for a steal of a deal! 3. Bathing suit cover up! I got this white eyelet coverup from this year's Joe Fresh swim collection. I can't wait to wear it! 4. Don't forget your hat! Andrew gave me this beautiful Lacoste sunhat as a 'just because' gift a few years ago and I'm sad to say I've hardly worn it! It's got a big brim on it to shade your face and shoulders when you're out in the sun for too long. 5. Tote bag! I picked up this tote bag from the Aerie swim collection a few weeks ago to use as a carry-all when we're going back and forth from the beach all day! 6. The cutest swim suit you can find. This heart scallop top and matching bottoms are also from the Aerie swim collection. The hearts are right up my alley for any time of year, but even better that our last day by the pool will be on Valentines Day! 7. SUNSCREEN. This is a no-brainer! I really like the Hawaiian Tropics Sheer Touch! 8. Passport! This is obviously one of the most important things, but I got this pretty floral cover from Chapters! 9. Band-aids! Not pictured but this is a good thing to remember to stash in your make-up bag in case of blisters or anything else that requires one! 10. Most importantly, good company. It doesn't matter where in the world I am as long as I'm in good company. This vacation will be no exception as I head off to the sun, sand, and surf for seven days with my partner in crime. 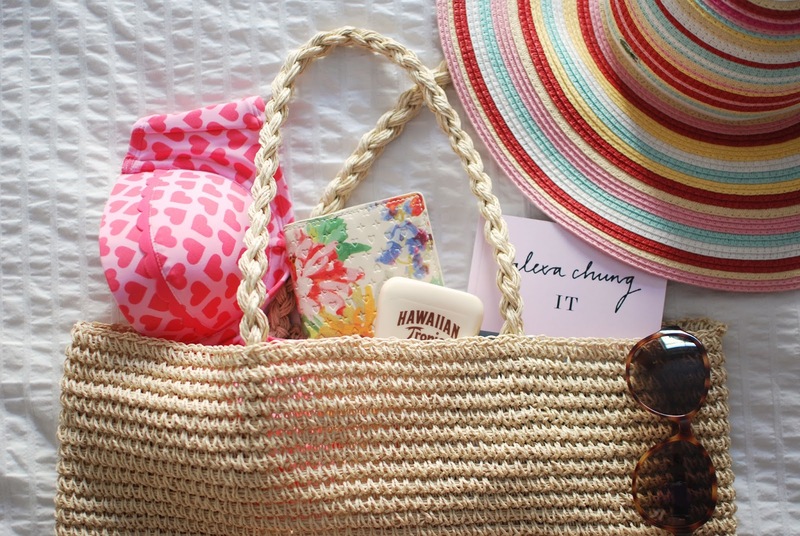 Those are my top-ten must-haves when heading to the beach! If you're escaping for a winter getaway, or maybe even heading to winter weather for a getaway, what are your must-haves?